shopnewbalance.com: Take running to the x-treme in NBx apparel. Take running to the x-treme in NBx apparel. If you’re an elite or competitive runner you know that to excel at your sport the apparel you choose is just as important as the shoes you wear. Not all running apparel is created equally. One size does not fit all. And what works for casual runners may not be enough for competitive athletes. To respond to the elite runner’s needs, New Balance created NBx. NBx is a premier line of running footwear and apparel designed with performance-packed technology, from moisture-wicking materials to reflectivity and high visibility accents. The spring NBx collection adds fresh new color combinations and builds on the popular qualities found past seasons. ﻿Available in both men’s and women’s styles, the NBx line includes everything from shorts to jackets that you can mix and match or layer as needed. 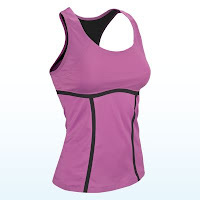 Most styles are semi-fitted, but some pieces are available in a compression fit as well. A hallmark of the spring NBx line is X-Static®. This technology consists of silver fibers woven into the material that are anti-static, odor resistant and help you stay cooler in the summer and warmer in the winter. X-Static® also lasts the life of the garment—you can’t wash it out. Moisture-wicking fabric is also an important quality found in the NBx line. 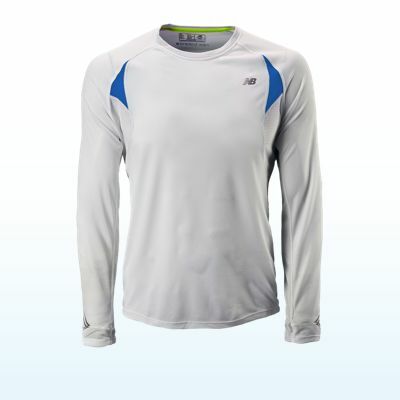 It keeps you comfortable and dry during your toughest workouts. More comfort-boosting technologies found in many of the NBx styles are welded seams that reduce chafing. The NBx Welded Tight, Men’s Half Zip and Women’s Sports Bra and Capri all feature this technology. Performance apparel may not make you run faster or harder, but to continually beat your personal best you need every advantage you can get. The NBx line from New Balance can help by keeping you focused on your run. Discover the entire line today at shopnewbalance.com.